How Much Sleep Debt Do You Owe? You may have a credit score above 700 but that doesn’t mean that a debt collector is not calling to you every day in the form of daytime sleepiness, fatigue and irritability. The creditor in this scenario is a little company called “Your Mind and Body”. How much of a sleep debt are you racking up? Most people aren’t even aware that they are doing it. Ironically as I am writing this I did short myself a couple of those precious hours last night working on a home improvement project and paying the price today (excuse for my typos). So what factors are bringing our sleep credit score down? Most commonly it can be attributed to sleep disorders and poor sleep hygiene, the two points of focus in this article to help you get a better night’s sleep. Your Sleep Debt Bills Are Starting to Pile Up! Ever wonder why people tend to “sleep in” on the weekends? Our bodies require a certain amount of rest each and every night and when we only make the minimum payment on our sleep bills start to pile up. While individuals require different amounts of sleep, 7.5 to 8 hours is recommended. Parents of newborns can sympathize with this and tend to suffer the most loss of sleep during the first weeks to years of their child’s life. The most common issues related to insufficient sleep that causes daytime sleepiness, fatigue, and loss of concentration among other things are listed below. People that suffer from sleep apnea are often unable to reach the more restful deep stages of sleep that are vital to recharge our batteries for the next day. Apnea’s literal meaning is “without breath” and it is a closure in the airway that doesn’t allow air to the lungs. These events set off a chain reaction that includes a drop in our oxygen levels and decrease in our heart rate which leads to our brains telling our bodies that we need to breathe. This brings us out of a deeper sleep stage to a shallow, wake like stage for a brief moment to make sure our airway opens and we get the oxygen we need to survive. 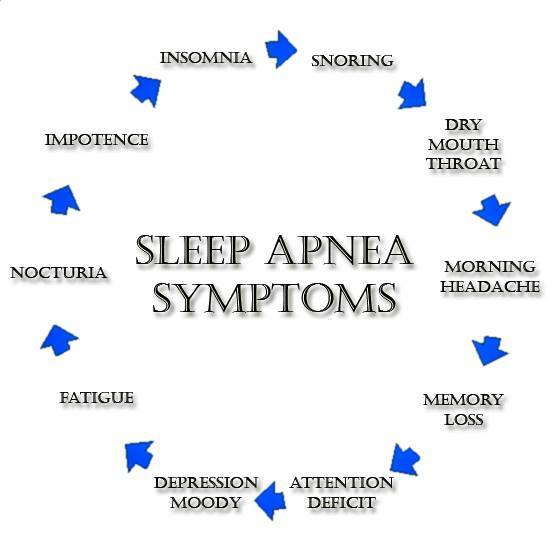 Many people are unaware of how many occurrences (sleep apnea events) occur during their night’s sleep. Medical professionals measure the severity of a person’s sleep apnea based on how many times per hour these events happen. A person that suffers from mild sleep apnea measures between 5 to 15 events per hour, moderate is 15 to 30 and a severe case is anyone that has over 30 events per hour. An event is described as closure or partial closure of the airway for a period of 10 seconds or greater. CPAP (continuous positive airway pressure), oral appliances and surgery are the treatment methods recommended for sleep apnea suffers. You can find out if you have sleep apnea by undergoing an in-lab sleep study or an at home sleep study. Difficulty falling and maintaining sleep. Many people confuse this with insomnia but what they do not realize is happening is that as soon as they drift into stage 1 of sleep their airway is closing off and waking them right back up. Sleep hygiene is a variety of different practices that are needed to maintain normal, quality nighttime sleep and full daytime alertness. 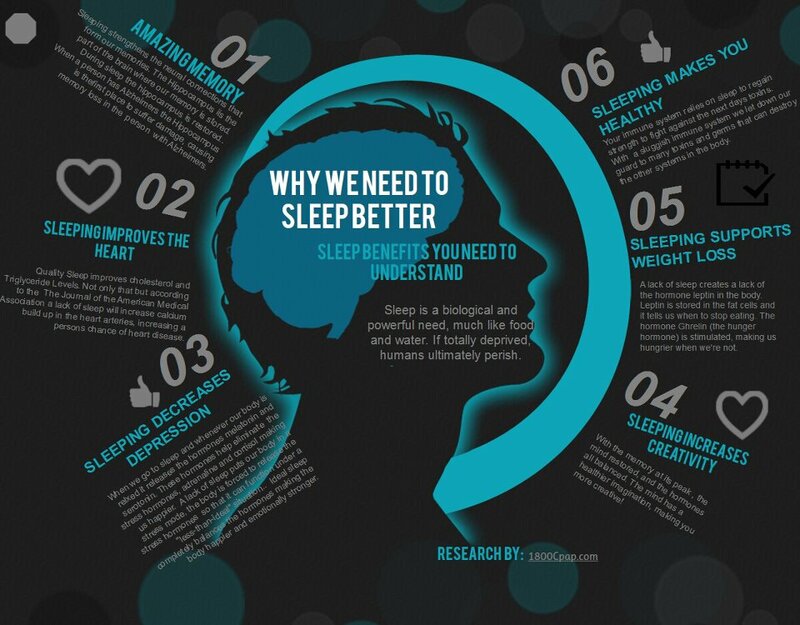 Follow these helpful tips to improve the quality of your sleep hygiene. Avoid taking naps during the day. As nice and relaxing as it sounds, it disturbs your normal pattern of sleep and wakefulness. Avoid caffeine, nicotine, and alcohol too close to bedtime. These are stimulants that…While we all know that drinking alcohol can lead to “passing out” it disrupts your sleep later in the night because the body begins to metabolize the alcohol, causing fragmented and disrupted sleep. While exercise is recommended for healthy living it can keep you awake if done too late in the evening. You should exercise earlier in the day to avoid trouble falling asleep or maintaining sleep onset at bed time. My old sleep doctor would tell patients that the bedroom is used for 2 things and watching television isn’t one of them. Your mind should associate your bed with sleep and it’s not a good idea to use your bed to watch TV or listen to the radio. Stay away from the refrigerator for those late night snacks too close to bedtime. What Can I Do to Reduce My Sleep Debt? You owe it to yourself to follow some of the helpful sleep hygiene tips we have provided you in this article. However, you could be practicing perfect sleep hygiene and completely be unaware of underlying conditions such as sleep apnea, snoring, and any other sleep disordered breathing that is affecting your sleep.